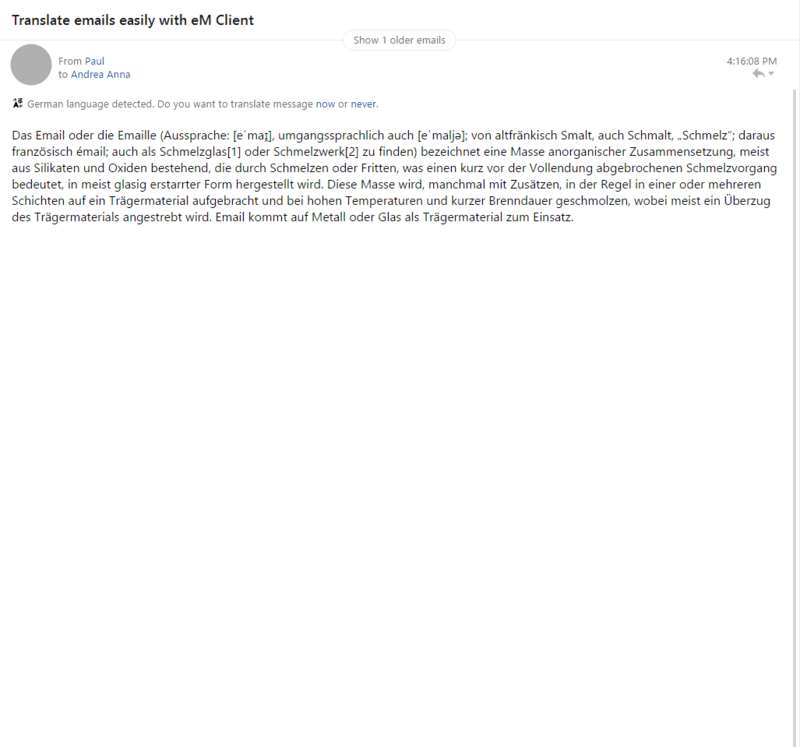 The new release of eM Client 7 will include a new option for translating your emails. 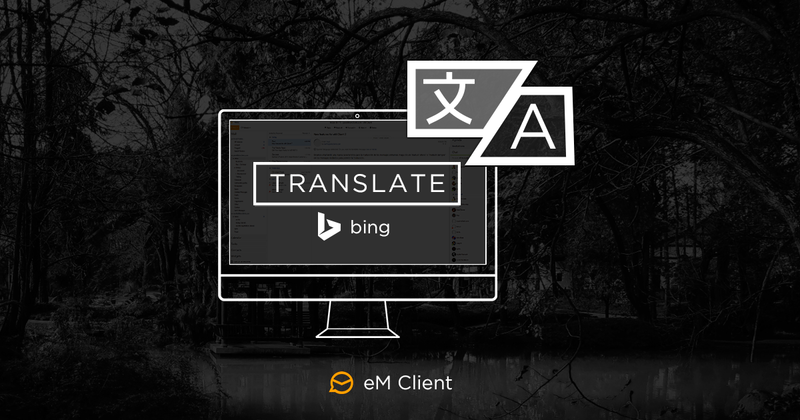 Whenever you receive a message in a different language than your application language, eM Client will offer you the option to translate the message to the application language or your selected language. This feature is powered by the Bing translator Tool. 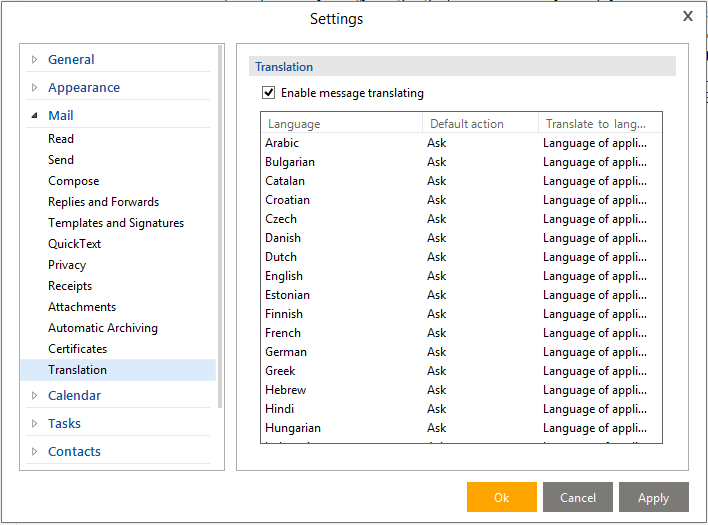 You can find the option in the application settings under Menu > Tools > Settings > Mail > Translation where you can also setup the default behaviour for different languages.